Giorgio's Limousine Service was founded in Buffalo, New York in 1985. It started out as a one car operation and was headquartered in the basement of the founder's home. Giorgio's Limousine Service can service virtually any ground transportation needs that you may have. Despite our reputation as a superior quality, service-driven company, Giorgio's Limousine Service prices are still competitive when compared with other legitimate, high-end limousine services. Our clients range from the once a year vacation traveler to large corporate customers that may use up to 10 trips a day. The adage which states "99% of success is showing up on time" couldn't be more true than in the limousine business. We believe that what comprises the remaining "1% of success" is just as important as the first 99%. Showing up on time isn't enough. Equally important are who shows up, and what are they driving. As a customer, you are entitled to be driven in a properly maintained, clean vehicle that is operated by a professional, competent and courteous chauffeur. If for any reason you ever feel uncomfortable, unsafe or otherwise dissatisfied with one of our chauffeurs, the vehicle or the service in general, contact us immediately so we can insure that the problem is resolved. 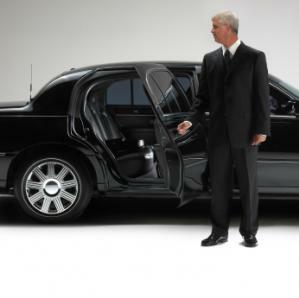 At any given time, there is generally a waiting list of chauffeurs who wish to drive for our company. The reason is simple, Giorgio's Limousine Service compensation for chauffeurs is among the highest in the industry. We have discovered a simple and yet effective formula for finding the best chauffeurs in the business: pay a person a superior wage and demand superior performance. If we are not getting superior performance from a chauffeur, we replace him / her. With our compensation package and overall working conditions, we have no trouble finding outstanding drivers. For the most part, your clients can expect to see the same chauffeurs over and over.